I completely forgot to post on Monday. 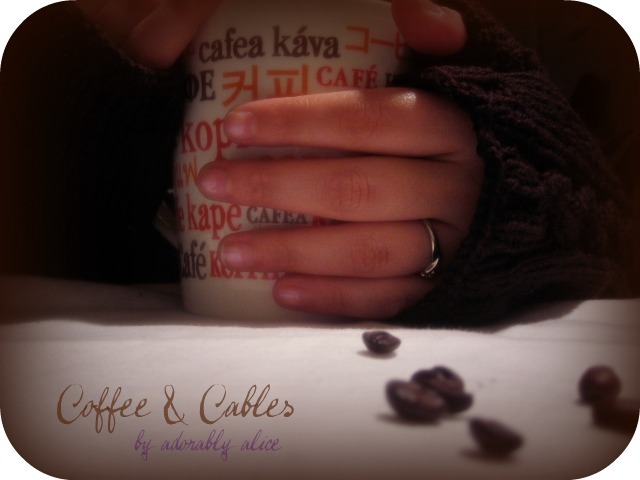 I thought about it Saturday afternoon with the intention of writing a post on Sunday. Don’t ask me what happened, because I’m not entirely sure. Most likely, however, it has to do with the fact that school began last week and I’m still getting into the swing of things. Last semester I was spoiled. My classes started at 11am on Mondays and Wednesdays, 1pm on Tuesdays and Thursdays and I was off on Fridays. No more! This semester I have one class that meets MWF, and TTh, I’m in class from 8a to 5p. BLEH! I also have zero journalism classes, so I’m not even writing in any of my classes! Double bleh! I also did not really knit at all last week. 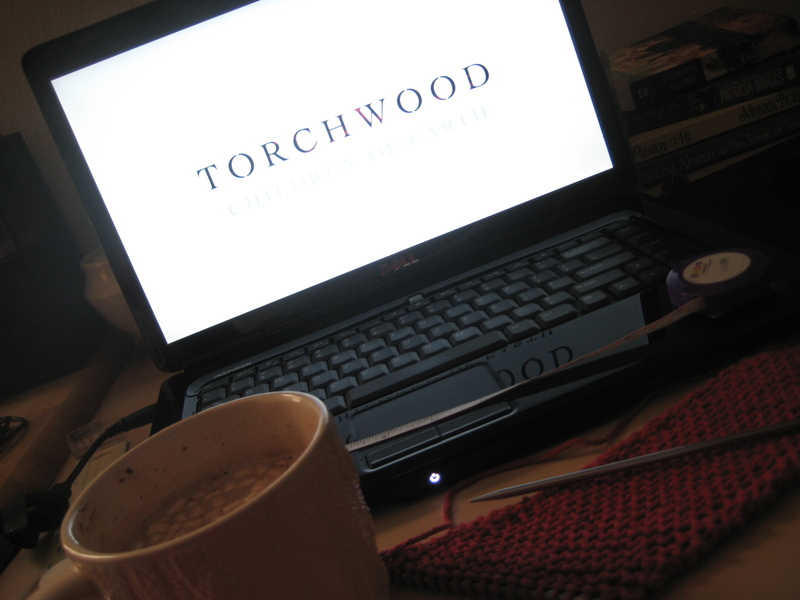 I did start an eReader cozy…it’s going to look like the Tardis. So…pretty much, it’s going to be the coolest thing ever. Frustrations in Knitting or, F@#$ing Frogging!! 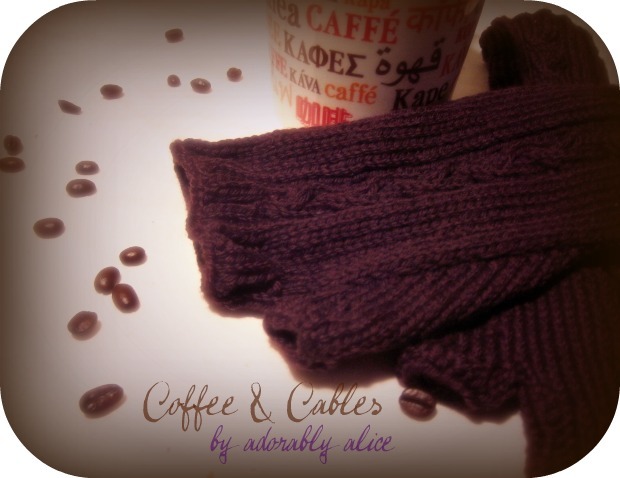 Last week, I was armed with bulky purple yarn, large needles (US11 and US 15) and a pattern scrawled out on a post-it note. Last week, I yelled at a youtube tutorial, dropped out of a KAL, reentered said KAL, completed a project and cast on for another…which I then frogged, only to start over again. On Tumblr, there is a KAL group that has two different KALs going on each month. This month was the Shroom Hat and the Darkside Cowl. Living in Texas, I really have no use for a cowl, and I confess, I don’t see the point of them — then again, this could be a direct result of living in Texas. So, naturally, having no use and seeing no purpose for the Darkside Cowl, I decided to join the Shroom KAL. 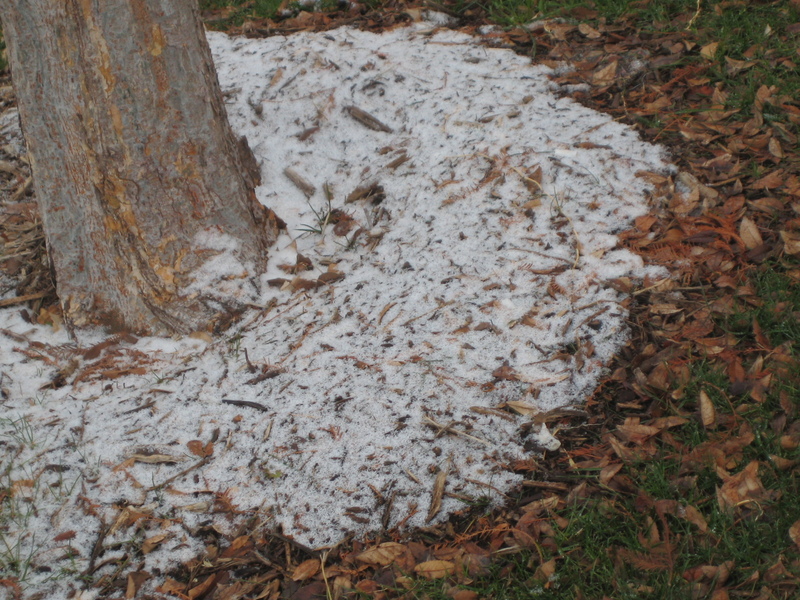 The Shroom, as many are aware, made it’s debut in the 2009 Winter Knitty. It’s a pattern that has been in my Ravelry queue for a while now, probably since its Knitty debut. The Tumblr KAL offered me the perfect kick in the pants to finally knit one. 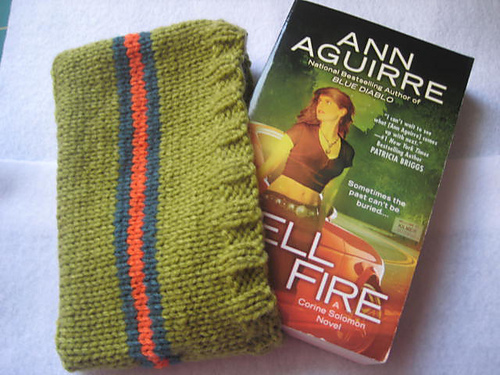 It also offered me a chance to meet two of my knitting resolutions: To stash bust and to knit something weekly. Needless to say, I was excited for my first KAL of the year. The beginning of the Shroom pattern, which only calls for 1×1 ribbing, was easy enough. 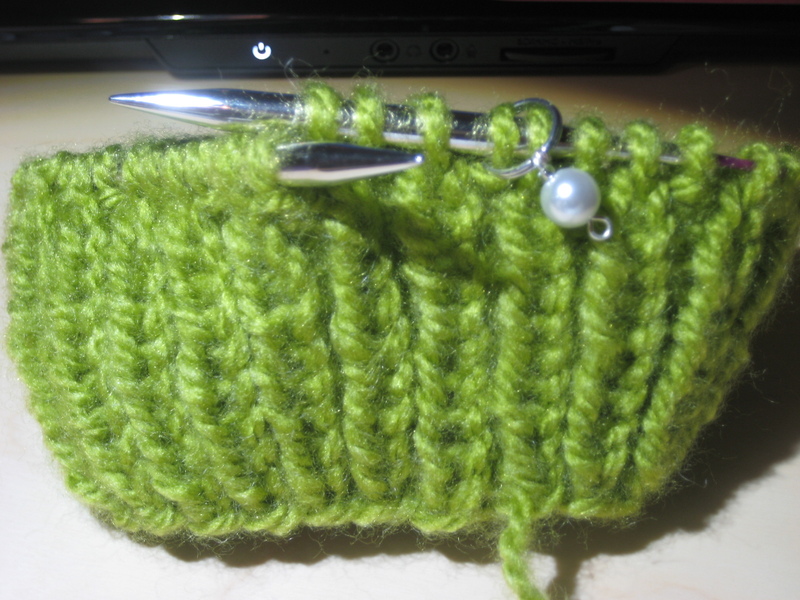 In a mere 30-45 minutes, I had my four inches of ribbing and was ready to start the puff rib pattern. Here is where things got tricky and my brain shut down. 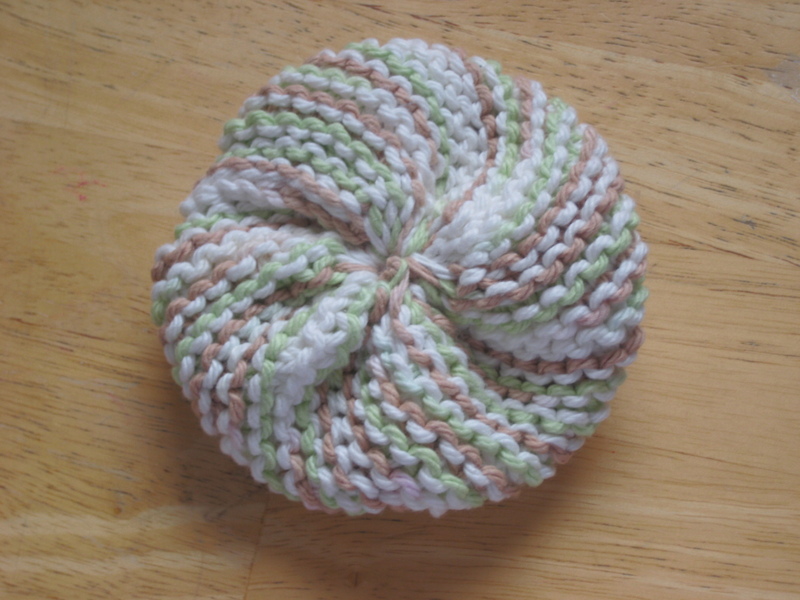 For the life of me, I could not figure out how to yarn over between knit and purl stitches. A few sts in, and I decided it was time to find help. I found some on Twitter and then moved to youtube for a tutorial. The tutorial made perfect sense, but when I put it into action, I realized this person was daft and their yarn overs where a total mess. I realized this when I was on my third pass of the puff rib pattern. I threw the project across my desk. Rewatched video. Looked at finished Shrooms. Looked at mine. Realized mine looked like yarn threw up. 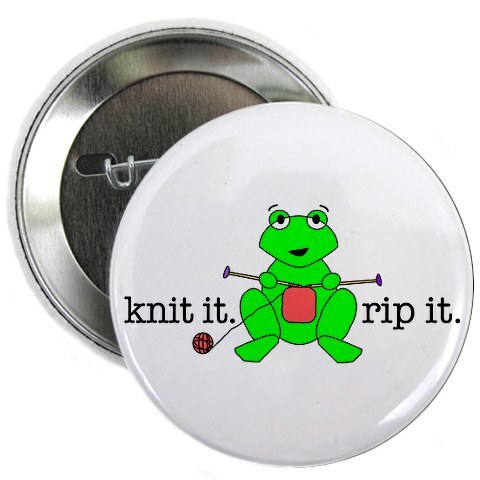 Frogged all the way back to the ribbing. Too far. Knit up another inch and a half of the 1×1 ribbing and started the puff rib again. Messed up. Again. Yelled at youtube for steering me in the wrong direction. Decided I was done with this project and dropped out of the KAL. The next day, I was calmer and not quite so petulant and easily irritated. With new found determination, I decided that this pattern — a pattern that everyone was touting for it’s simplicity and quickness to knit up — would not get the best of me. I found a different youtube tutorial, one that made SO MUCH MORE SENSE than the original. 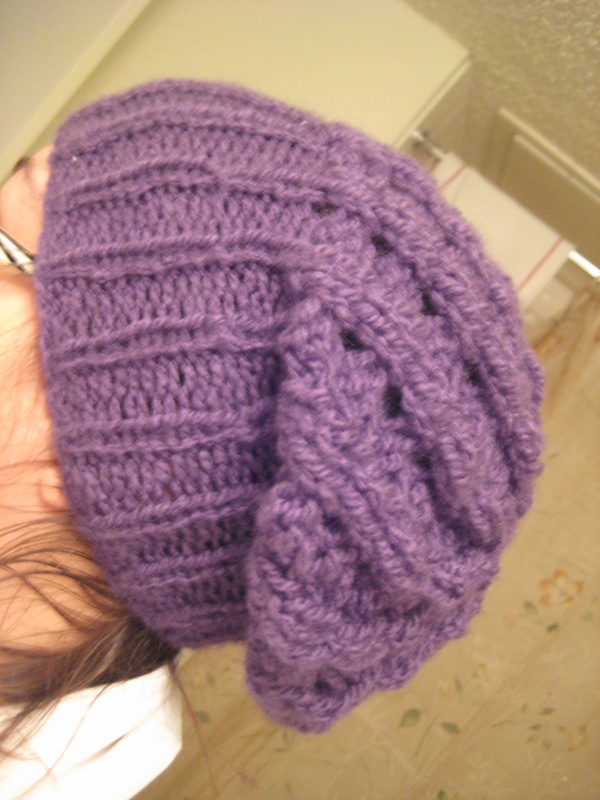 Two FarScape episodes later, I had a completed Shroom hat. But I wasn’t sure if I liked it. I wore it all day Saturday and Sunday. Sunday afternoon, I cast on for another one. This time in green. Got cocky in my ability, and when I came to the decreases, realized I had royally messed up. 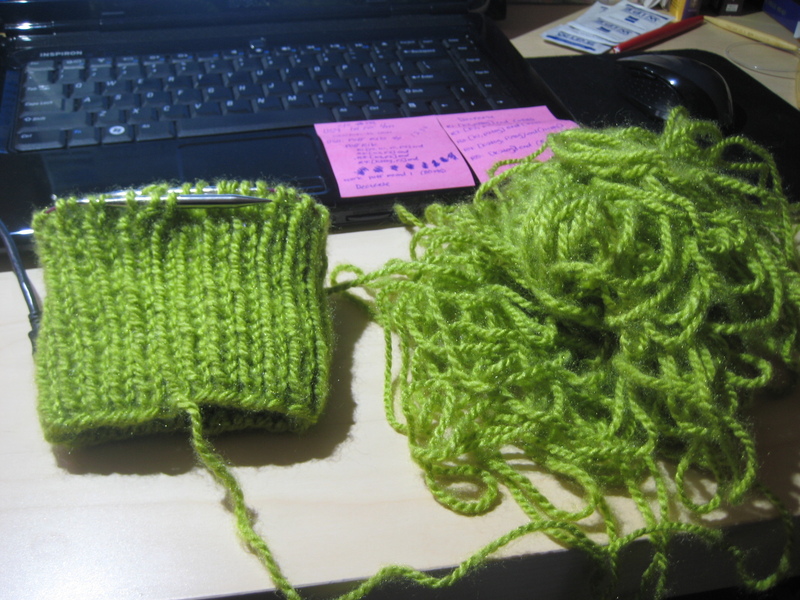 Cursed and frogged — all the way back to the 1×1 ribbing. Today, I’ll finish that green Shroom hat. Even if it kills me. I had plans to do a third in dark blue…but I think it’s time I moved on from this. I don’t think I could handle having to tink back and frog a third hat.